This ancient curse was marked on a book in a library collection at Ninevah in Assyria (now Iraq), around 3000 BCE, in an apparent attempt to ward off copyright infringement. Righteous author unknown. Curses have been used against enemies for many millennia. Written or verbalized, they are crafted to conjure a supernatural power to punish a particular person or group or family. The aim has been to imbue the target with bad luck, physical harm or other dire misfortune such as death. Could these curses carry down through the ages and continue to affect people in present time? This may surprise you, but it is my experience that some do. Some of my clients unwittingly endure curses over lifetimes. When hostile curses have the command of “never”, “always” or “forever” added to them, they can carry through and are serious. In researching curses, spells and hexes, I noted that symbols for warding off the evil eye were discovered dating back to upper Paleolithic times (the Stone Age, between 50,00 and 10,000 years ago). This vile glare by those who were jealous, or felt harmed, or otherwise mistreated had the goal to wreak revenge. In the Roman baths in England, curses (and prayer requests) have been found written on lead sheets that were rolled up and nailed into the walls of wells or buried underground. In Italy, near the end of the Roman Empire, a tablet was discovered cursing a senator. It reads in part, “May Fistus (the senator) dilute, languish, sink and may all his limbs dissolve.” Whew! Politicians could be infuriating even in those times! So often in the medieval era, curses were associated with hapless witches, whom the Catholic Church deemed as evil. But as noted in the Assyrian curse, the act of cursing was found much earlier than that. 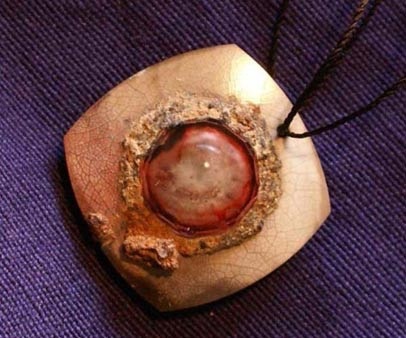 Use of evil eye curses has been pervasive into modern times. Some cultures today still wear eye beads as protection against them. We can safely say that the concept of trying to harm others through metaphysical means is pretty deeply imbedded in our DNA. Indeed, I witnessed evidence of present-day, formal cursing in my many years working in Mexico. There are people who are hired specifically to put curses on others. This happens here in Austin, Texas, too.